Learn how to retrieve basic and advanced specifications about the hardware of the computer in Winforms using C#. Learn how to download a file from the web using C# and WebClient. Learn how to set up a local connection between winforms and mySQL. 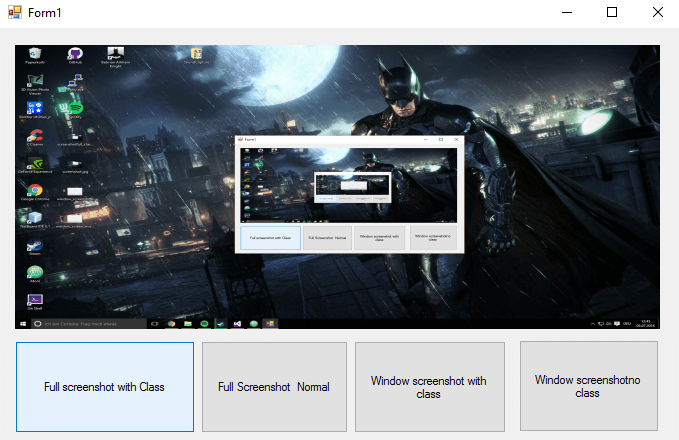 Learn different ways to take a screenshot using c# in Windows Forms. Learn how to solve the message error when importing a third party (or personal) project in to visual studio. Learn how to manipulate JSON using JSON.NET library. Learn how to embed a CefSharp distribution in your Windows Forms app in c# easily. C# (pronounced "C-sharp") is an object-oriented programming language from Microsoft that aims to combine the computing power of C++ with the programming ease of Visual Basic. C# is based on C++ and contains features similar to those of Java.